This is just utterly disgraceful, horrific and makes me want to vomit. Please, please, please… don’t support circuses and other animal “shows” just for the sake of your enjoyment. You can read the full news story on Peta’s 2009 investigation at the Times Online, which includes a rebuttal from the circus owner. Click her for Peta’s blog, which is keeping up-to-date information regarding this court case. 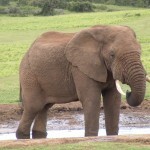 And lastly, visit www.ringlingbeatsanimals.com for information on the findings and what you can do to help.